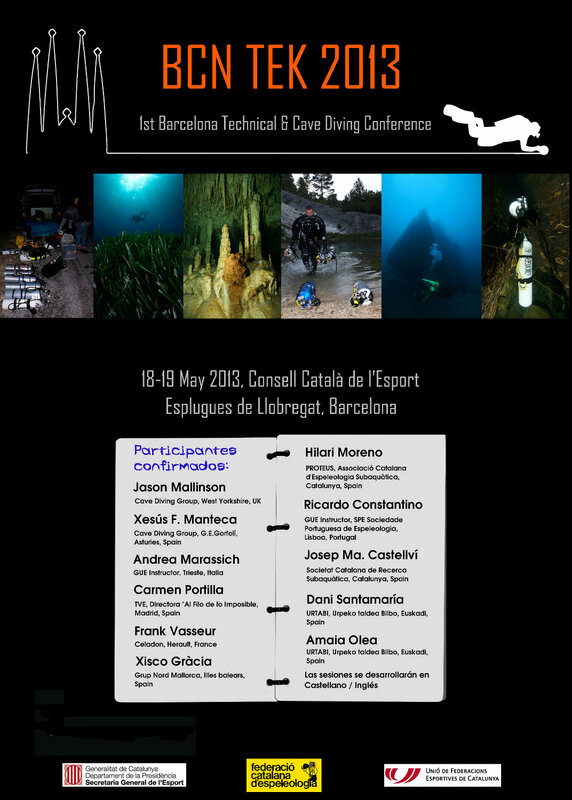 On 18th & 19th May, the First Barcelona Technical & Cave Diving Conference will take place focusing on cave diving explorations. Click on the image on the left for the full details about the talks. More information can be found on the BCN TEK 2013 facebook group, subscription form can be downloaded here.